Death of TV: Part LXX: The fat lady just sang! As the old saying goes, "It ain't over 'til the fat lady sings." Dish Network just brought the fat lady out on the stage, and she is singing Sling TV. It's a new OTT (Over The Top) streaming video service that will include ESPN, Disney, CNN, TNT, and a bunch of other "channels," and I have "channels" in quotes because it is an archaic concept that dates back to the 1950s. But we know what it means. "Millennials don't choose paid TV," said Roger Lynch, who was named CEO of Sling TV LLC. "So we designed a service based on how millennials consume content, with no contracts. You can come and go as you please." If you are responsible for economic development in your community, ponder that statement. Or better yet, let me re-phrase it for you...."No one under 35 cares about cable TV." Or put another way, if you want young people to stay in or move to your community, you better have Internet capable of streaming multiple HD channels of "TV" over the Internet. It's a quality of life issue that you can't ignore. 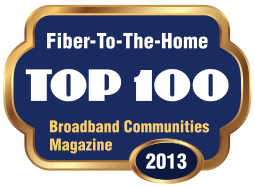 Want help getting the right broadband infrastructure in your community? Give us a call (540-951-4400) and ask for Dave Sobotta. We would love to help.